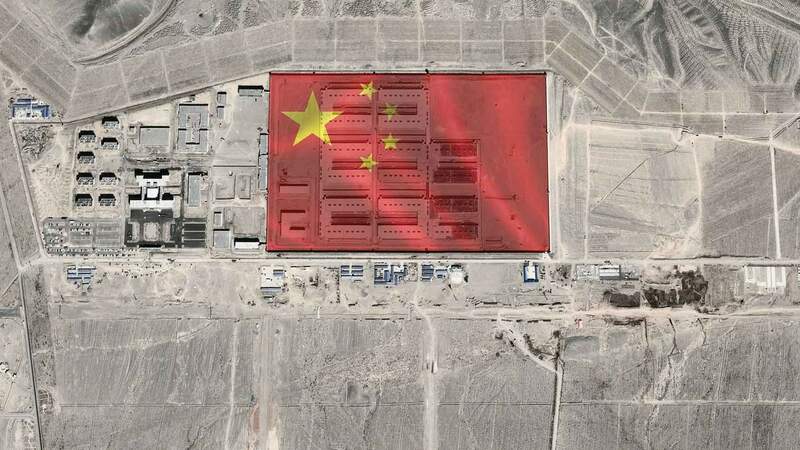 China is accused of locking up hundreds of thousands of Muslims without trial in its western region of Xinjiang. The government denies the claims, saying people willingly attend special “vocational schools” which combat “terrorism and religious extremism”. It's already clear that our plan to visit a dozen suspected camps over the course of the next few days is not going to be easy. As we drive up the wide approach road we know that sooner or later the convoy behind is going to try to stop us. In its place, a huge extension project is taking shape. Like a mini-city sprouting from the desert and bristling with cranes, are row upon row of giant, grey buildings - all of them four storeys high. With our cameras rolling we try to capture the extent of the construction, but before we can go much further one of the police cars swings into action. Our car is stopped - we're told to turn off the cameras and to leave. But we've discovered something of significance - a huge amount of extra activity that has so far gone unnoticed by the outside world. 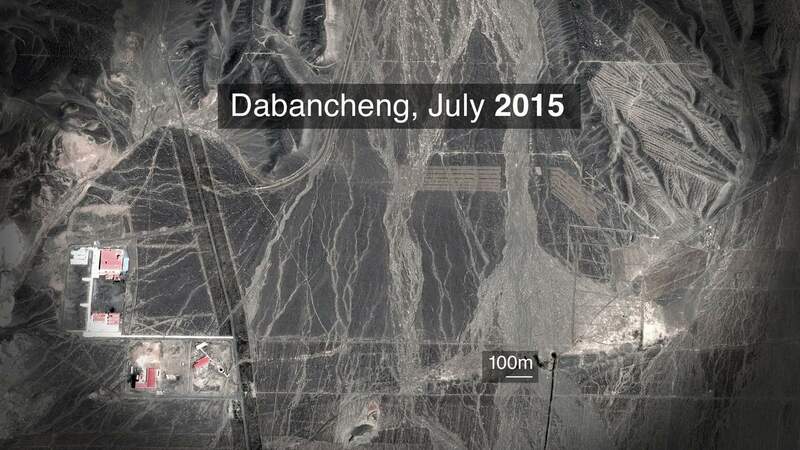 In remote parts of the world, Google Earth images can take months or years to update. Other public sources of satellite photography however - like the European Space Agency's Sentinel database - provide much more frequent images, although they're of a much lower resolution. It is here that we find what we are looking for. 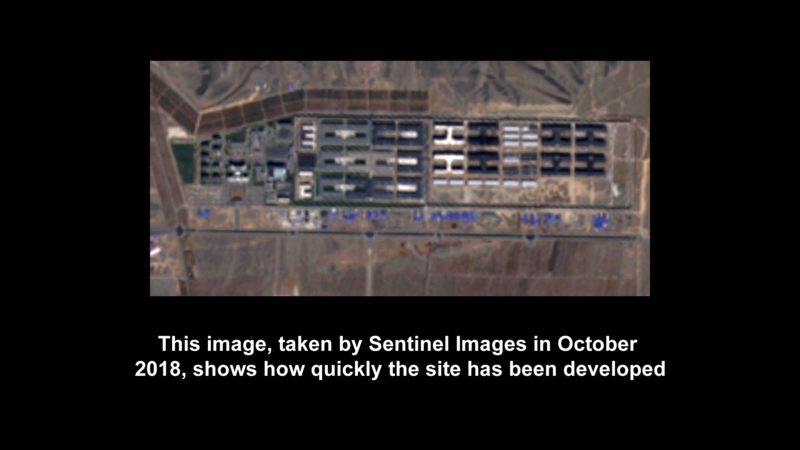 An October 2018 Sentinel image shows just how much the site has grown compared with what we'd expected to see. 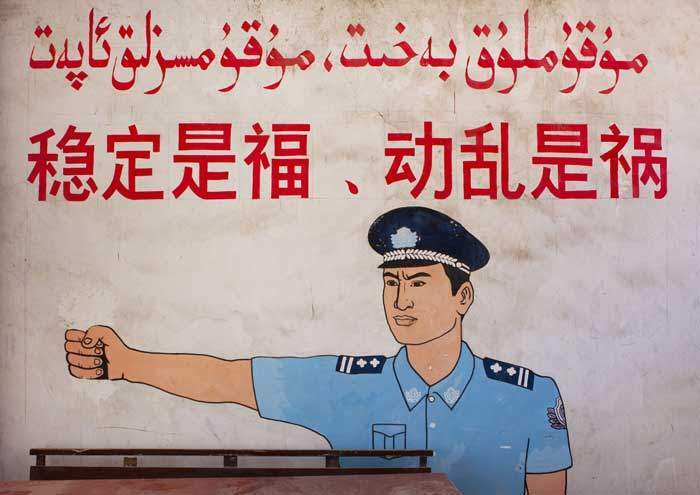 In Xinjiang “going to school” has come to take on a meaning all of its own. 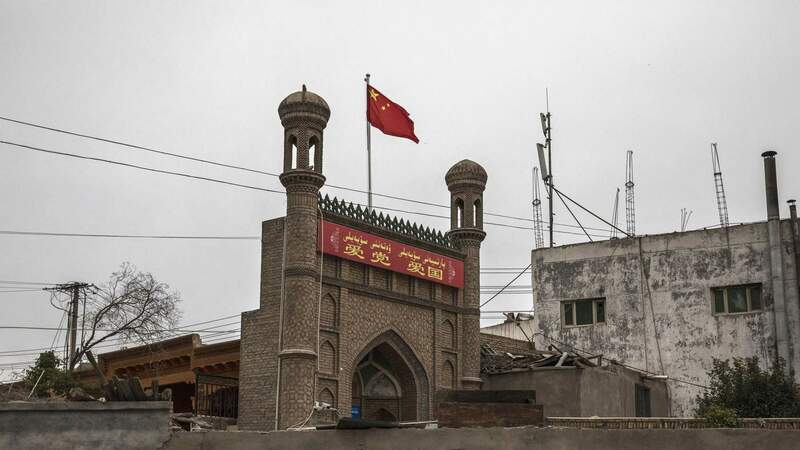 China has consistently denied that it is locking up Muslims without trial. Images from Chinese state TV show life inside the "schools"
The video suggests the school is operating a dress code - not a single one of the female students is wearing a headscarf. 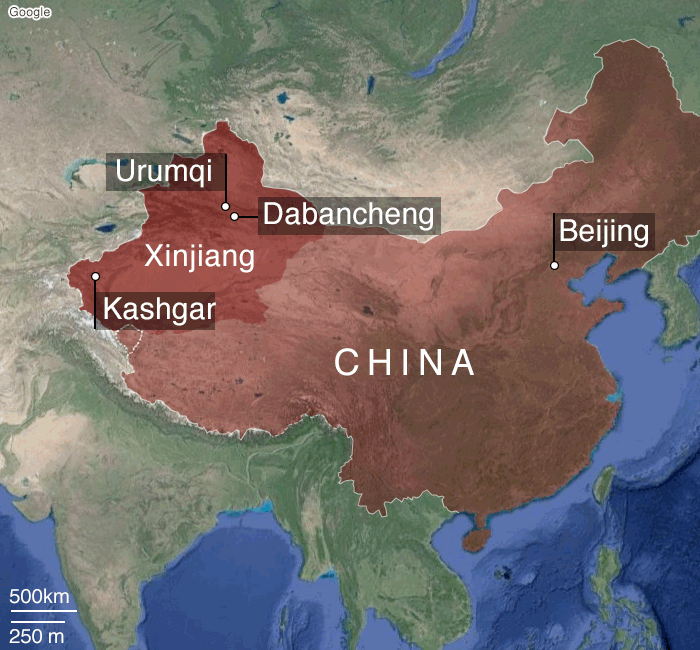 There are more than 10 million Uighurs in Xinjiang. But in the past decade or so, hundreds of lives have been lost to a mixture of riots, inter-community violence, premeditated attacks and the police response. 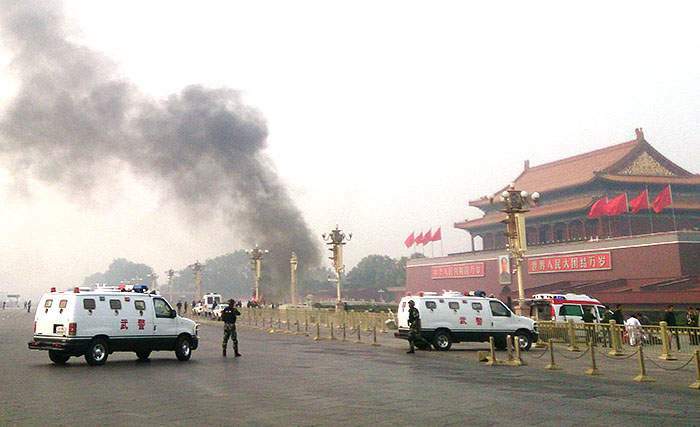 In 2013, an attack on pedestrians in Beijing's Tiananmen Square, which claimed two lives as well as the three Uighur occupants of the car, marked a significant moment. Although relatively small in terms of fatalities it rattled the foundations of the Chinese state. 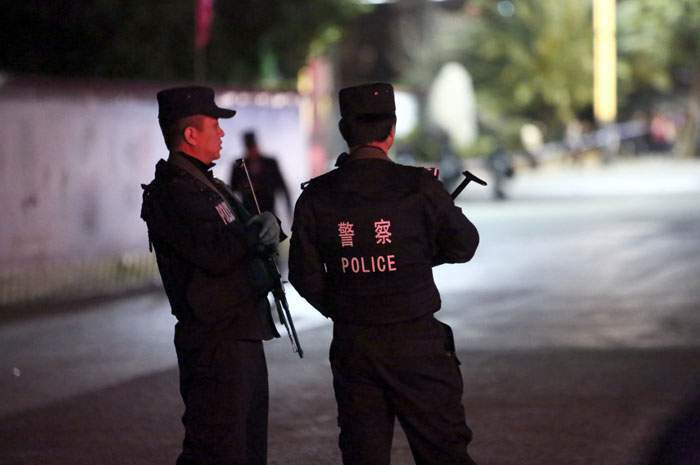 The following year, 31 people were slaughtered by knife-wielding Uighur attackers at a train station in the Chinese city of Kunming, more than 2000km away from Xinjiang. 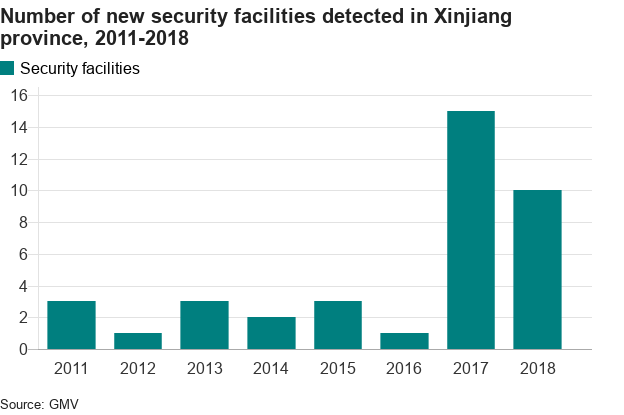 Over the past four years, Xinjiang has been the target of some of the most restrictive and comprehensive security measures ever deployed by a state against its own people. These include the large-scale use of technology - facial recognition cameras, monitoring devices that read the content of mobile phones and the mass collection of biometric data. Harsh new legal penalties have been introduced to curtail Islamic identity and practice - banning, among other things, long beards and headscarves, the religious instruction of children, and even Islamic-sounding names. 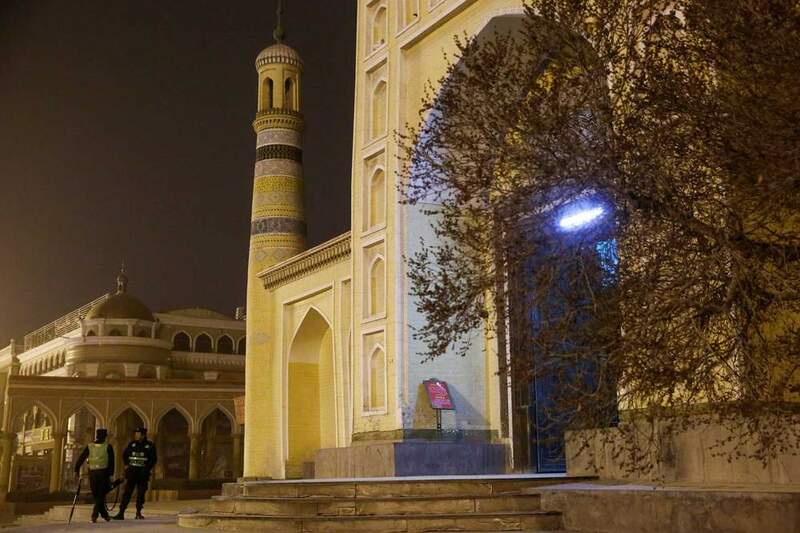 The policies appear to mark a fundamental shift in official thinking - separatism is no longer framed as a problem of a few isolated individuals, but as a problem inherent within Uighur culture and Islam in general. 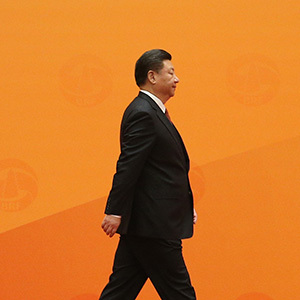 It coincides with a tightening grip on society under President Xi Jinping, in which loyalties to family and faith must be subordinate to the only one that matters - loyalty to the Communist Party. 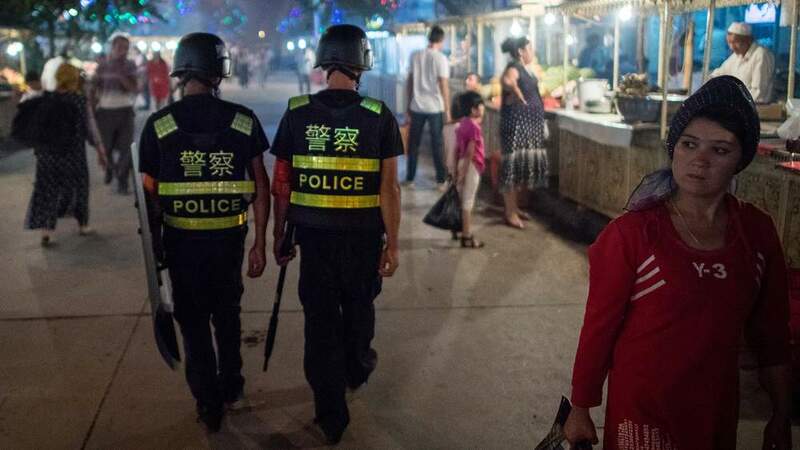 The Uighurs' unique identity makes them a target for suspicion. That view has been reinforced by credible reports that hundreds have travelled to Syria to fight with various militant groups. 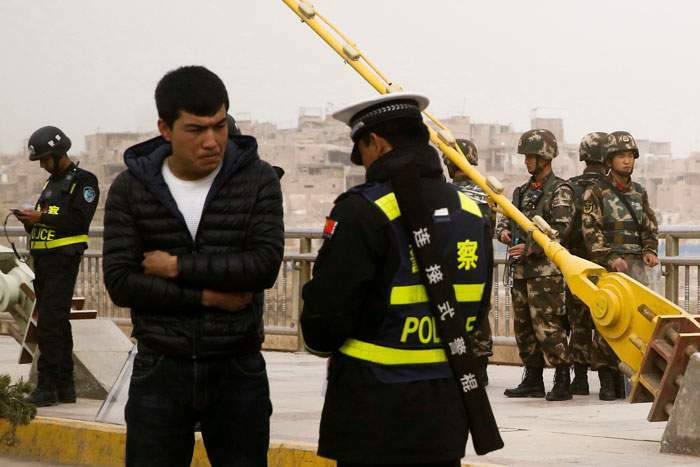 Uighurs are now subject to ethnic profiling at thousands of pedestrian and vehicle checkpoints while Han Chinese residents are often waved through. 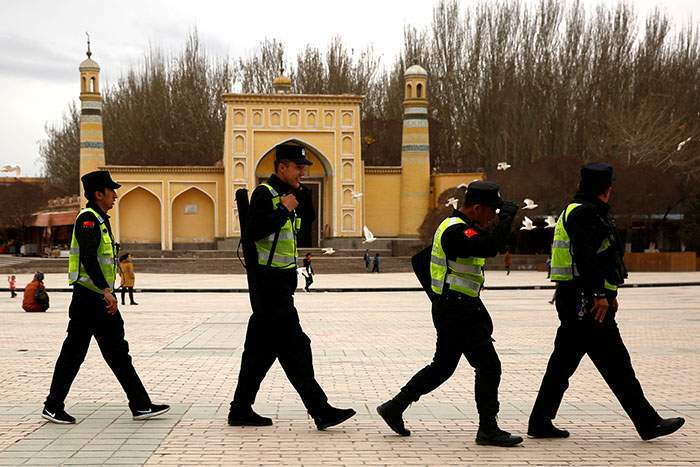 They face severe travel restrictions, both within Xinjiang and beyond, with an edict forcing residents to surrender all passports to the police for “safe keeping”. 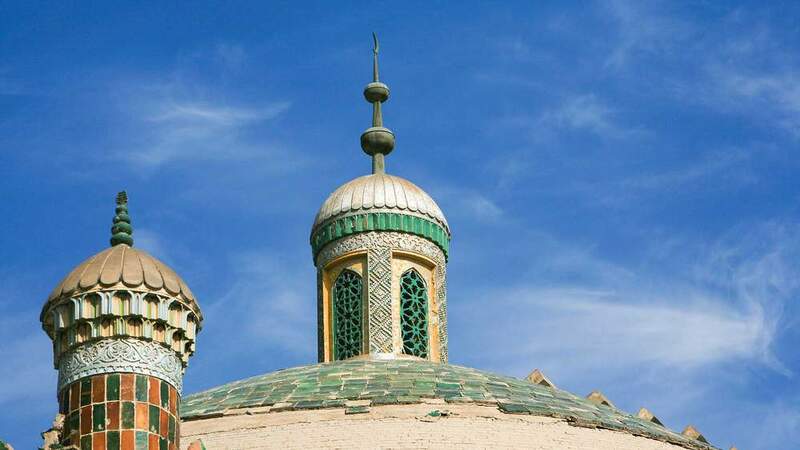 Uighur government officials are prohibited from practising Islam, from attending mosques or from fasting during Ramadan. 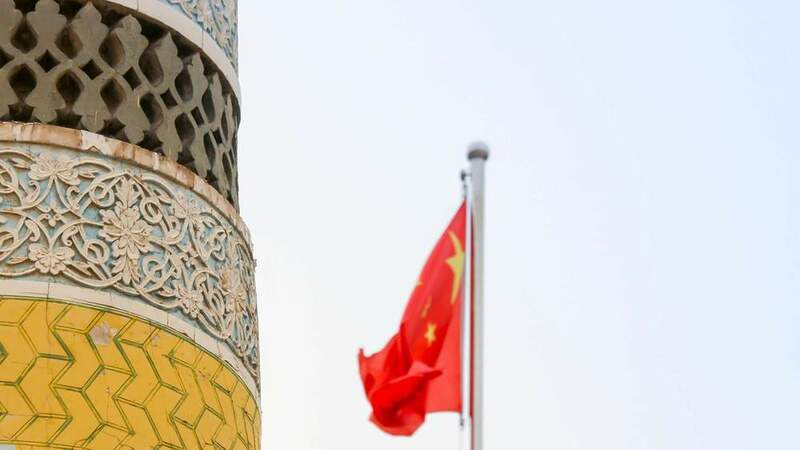 Given all this, it is perhaps not that surprising that China has introduced another older and blunter solution to the perceived disloyalty of many of its Uighur citizens. 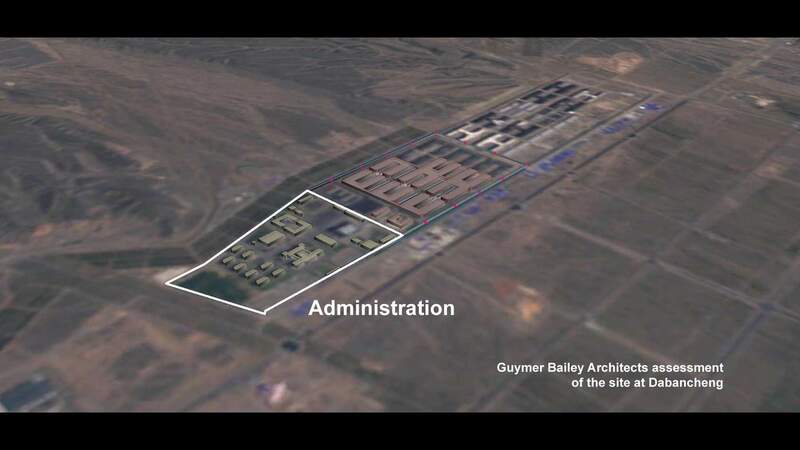 Despite the government's denials, the most compelling evidence for the existence of the internment camps comes from a trove of information from the authorities themselves. 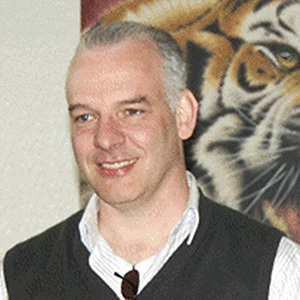 Pages of local government tendering documents inviting potential contractors and suppliers to bid for the building projects have been discovered online by the German-based academic, Adrian Zenz. 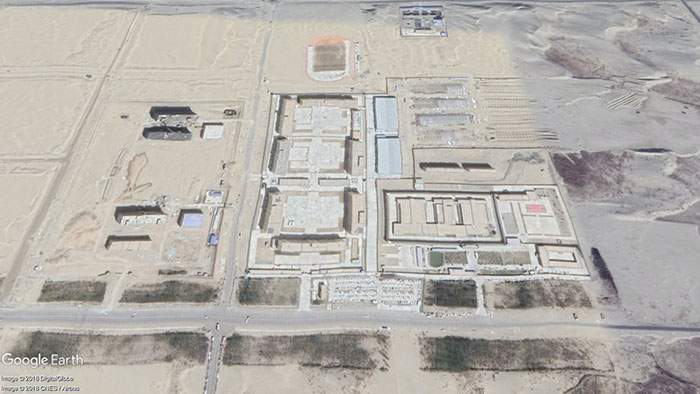 They provide details about the construction or conversion of dozens of separate facilities across Xinjiang. In many cases the tenders call for the installation of comprehensive security features, such as watchtowers, razor wire, surveillance systems, and guardrooms. Cross-referencing this information with other media sources, Zenz suggests that at least several hundred thousand and possibly over a million Uighurs and other Muslim minorities could have been interned for re-education. The documents, of course, never refer to the facilities as internment camps, but as education centres, or in a more accurate translation, “re-education centres”. One of them almost certainly relates to the giant site we visited - a July 2017 tender for the installation of a heating system in a “transformation through education school” somewhere in the district of Dabancheng. In these euphemisms, and in the mundane measurements and quantities described, there is the unmistakable substance of a rapidly expanding network of mass confinement. In 2002, Reyila Abulaiti travelled from Xinjiang to the UK to study. She met and married a British man, took British citizenship and started a family. 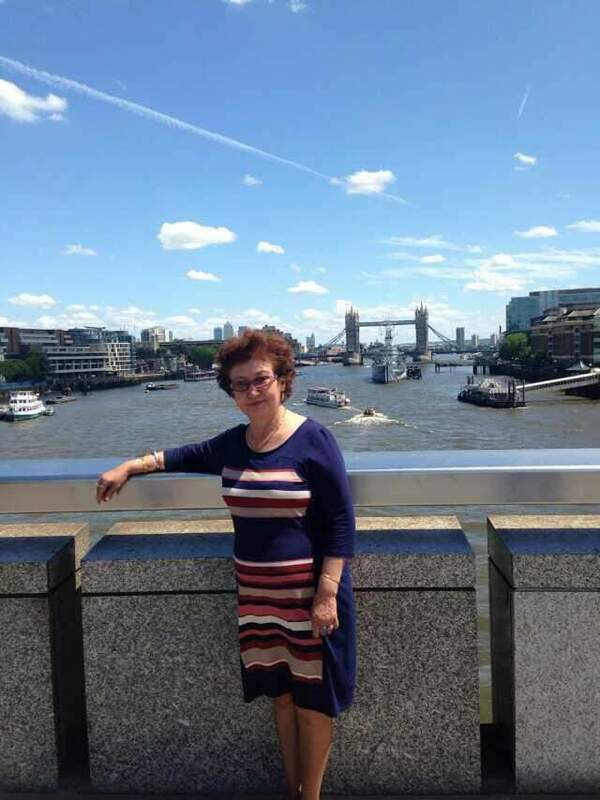 Last year, her mother came for her usual summer visit, spending time with her daughter and grandson and doing a bit of London sightseeing. 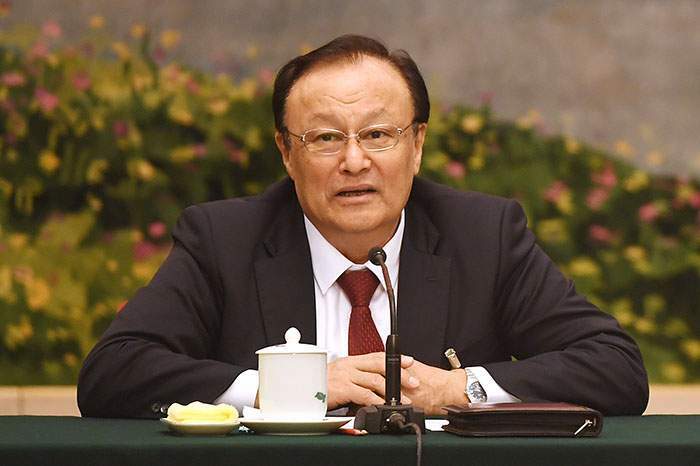 Xiamuxinuer Pida, 66, is a well-educated former-engineer with a long service record at a Chinese state company. She flew back to Xinjiang on 2 June. Having not heard from her, Reyila called to check she'd got home OK. The conversation was brief and terrifying. “She told me that the police were searching the house,” Reyila remembers. It was Reyila who appeared to be the target of the investigation. She needed to send copies of her documents, her mother said - proof of UK address, a copy of her British passport, her UK telephone numbers and information about her university course. And then, after asking her to send them via a Chinese mobile chat service, Xiamuxinuer said something that sent a chill down Reyila's spine. It was the last time her daughter would hear her voice. She believes she has been in a camp ever since. 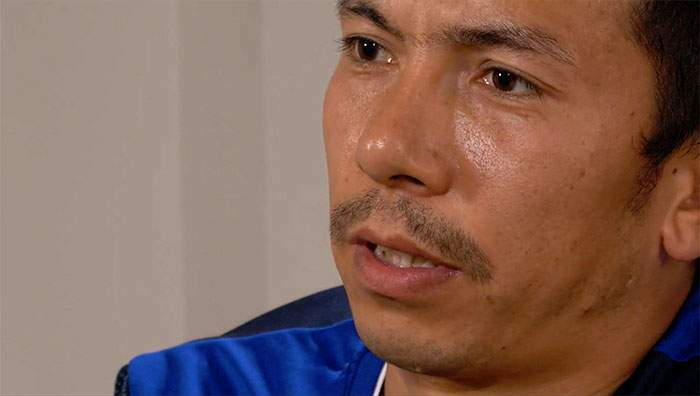 The BBC has conducted lengthy interviews with eight Uighurs living overseas. 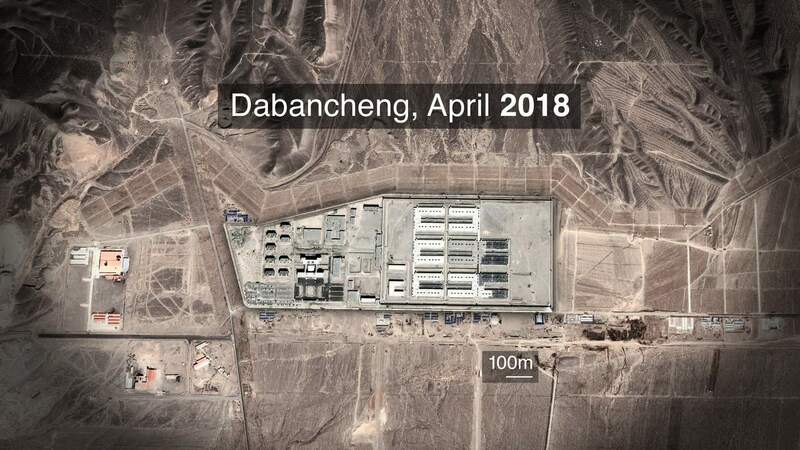 Their testimonies are remarkably consistent, providing evidence of the conditions and routines inside the camps and the broad basis on which people are detained. 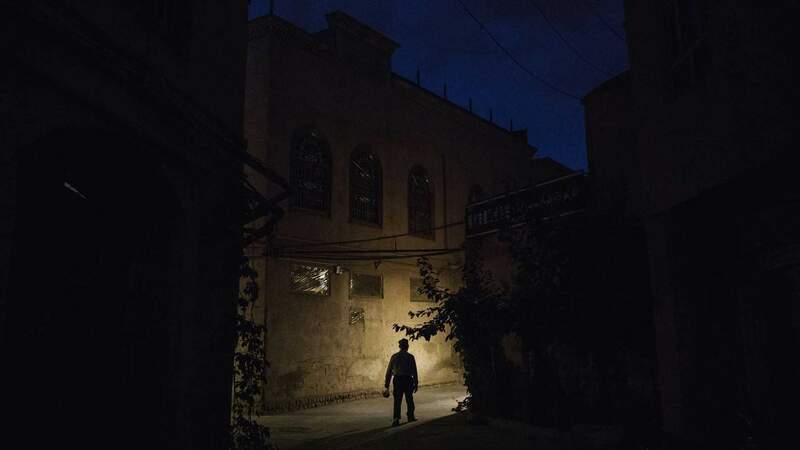 Mainstream religious activity, the mildest dissent and any link with Uighurs living in foreign countries appear to be enough to sweep people into the system. 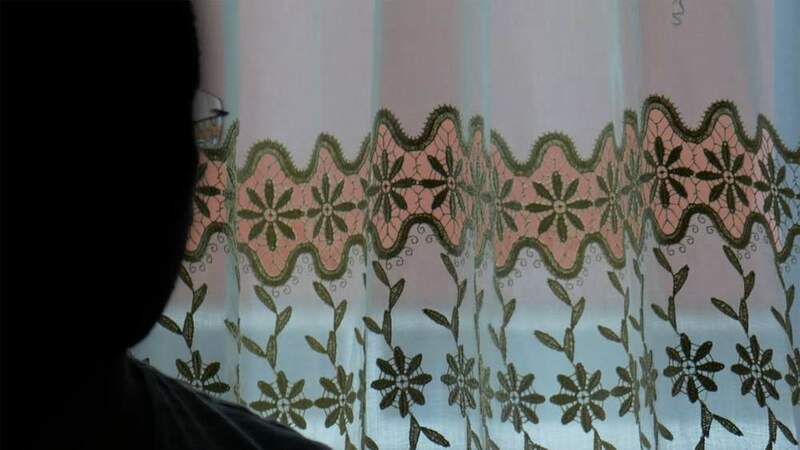 Each morning, when 29-year-old Ablet Tursun Tohti was woken an hour before sunrise, he and his fellow detainees had one minute to get to the exercise yard. After lining up, they were made to run. 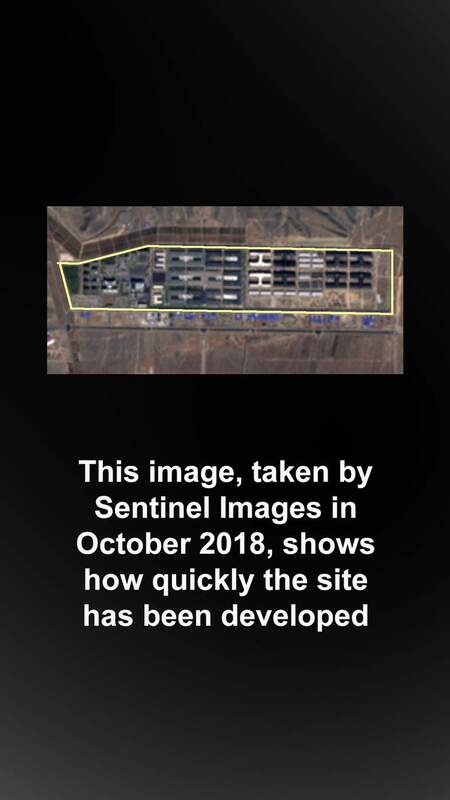 The exercise yard can clearly be seen on the satellite photo of the camp where he says he was held, in the oasis town of Hotan in southern Xinjiang. “We sang the song called ‘Without the Communist Party There Can Be No New China,’” Ablet says. He was there for a month in late 2015 and, in some ways, he is one of the lucky ones. In the early days of the internment camps, the lengths of the re-education “courses” appear to have been shorter. Over the past two years there are very few reports of anyone being released at all. And since there has now been a mass recall of passports, Ablet was one of the last Uighurs able to leave China. He has sought refuge in Turkey, a country with a sizeable Uighur diaspora because of strong cultural and linguistic links. 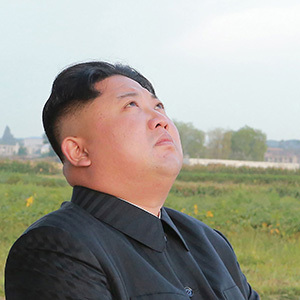 Ablet tells me that his 74-year-old father and eight of his siblings are in the camps. “There is no-one left outside,” he says. Abdusalam Muhemet, 41, is also now living in Turkey. 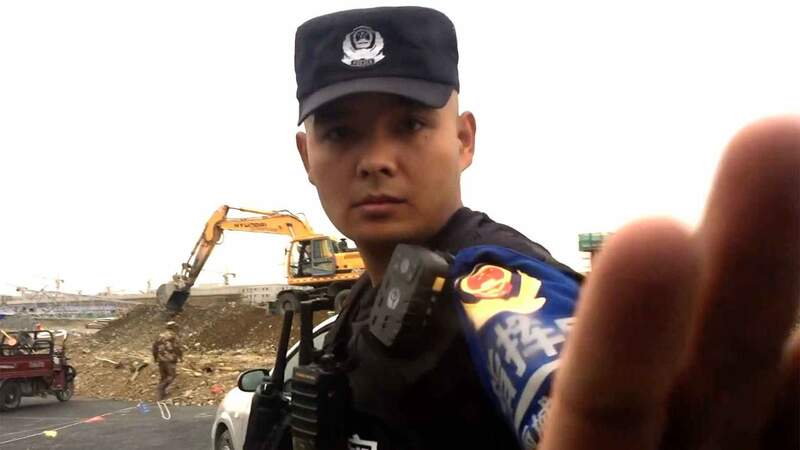 He was detained by the police in Xinjiang in 2014 for reciting an Islamic verse at a funeral. They eventually decided not to charge him, he says, but he still wasn't free. “They told me I needed to be educated,” he explains. The facility he found himself in did not look like a school. 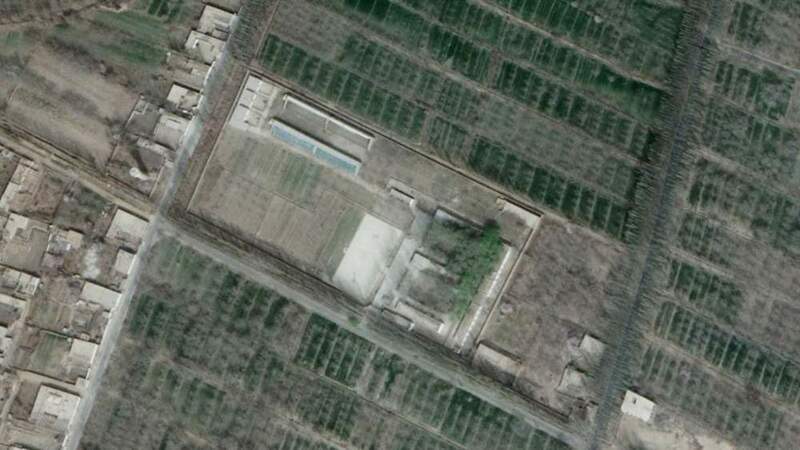 On the satellite photo, you can make out the guard towers and the double perimeter fencing of the Han'airike Legal Education Training Centre. The rolls of razor wire can be identified from the shadows they cast under the harsh desert sun. He describes the same routine of exercise, bullying and brainwashing. 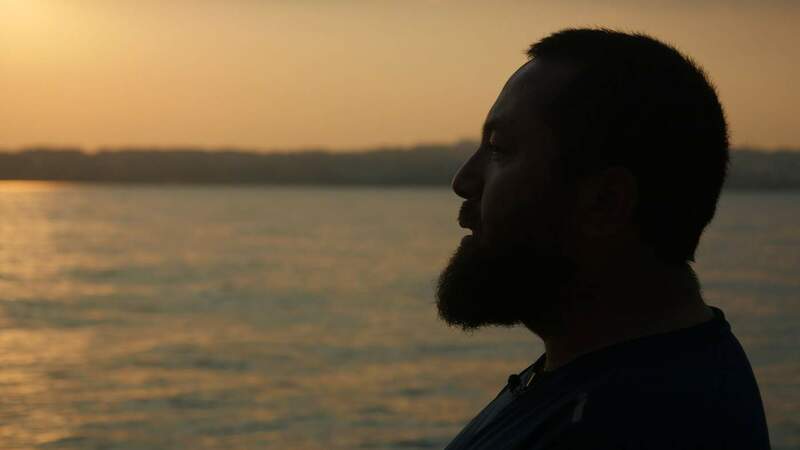 Twenty-five-year-old Ali, not his real name, is one of those too scared to talk openly. In 2015 he says he ended up in a camp after the police found a picture of woman wearing a niqab, a face veil, on his mobile phone. 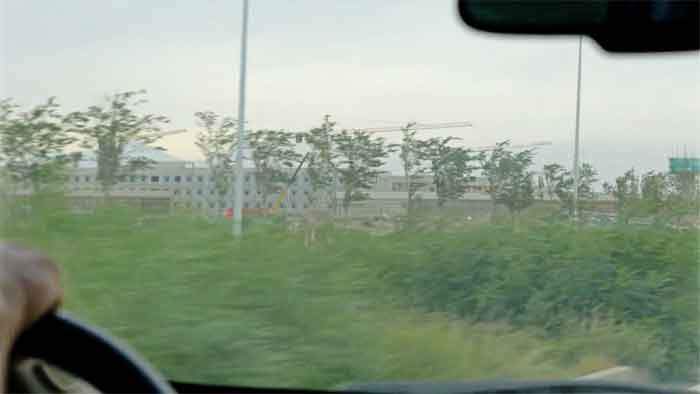 During one of the forced exercise sessions an official’s car entered the camp and the gate was briefly left open. “Suddenly, a small child ran in towards his mother who was running with us. “She went towards her child, embraced him and started crying. In place of clean surroundings shown on state TV, a very different picture emerges. There is no way of independently verifying these accounts. 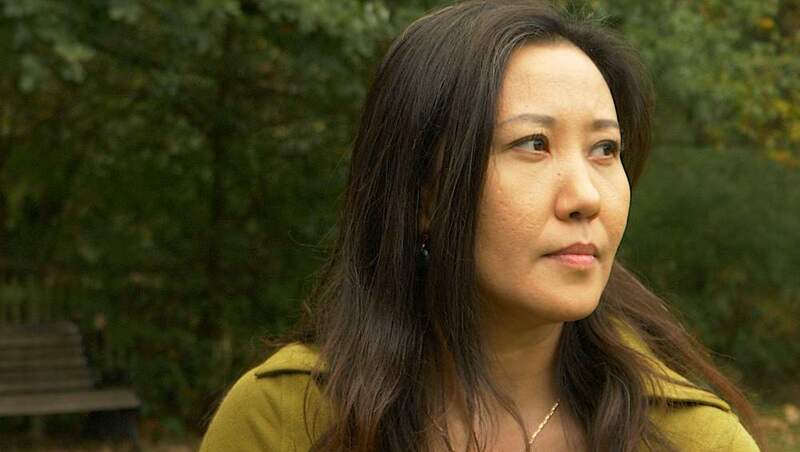 We asked the Chinese government about the allegations of abuse but have received no reply. 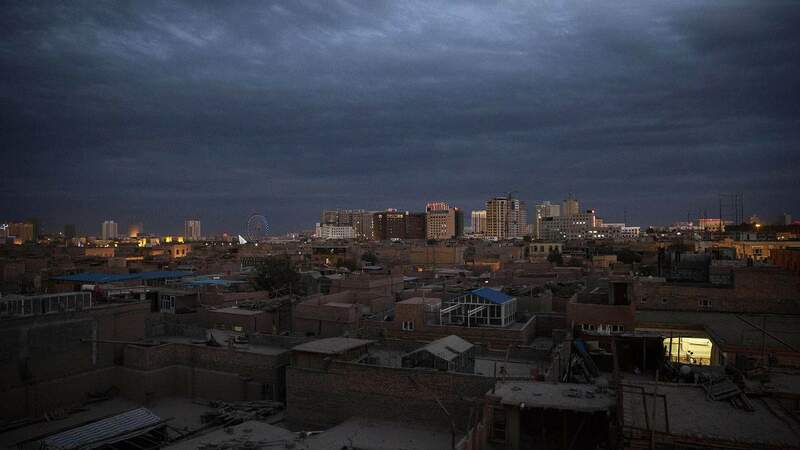 For Uighurs outside Xinjiang news has almost completely dried up. Reports of people being deleted from family chat groups, or told never to call again, are now commonplace. Two of the things most central to Uighur culture - faith and family - are being systematically broken. As a result of the detention of whole extended families, there are reports that many children are being placed in state orphanages. Bilkiz Hibibullah arrived in Turkey in 2016 with five of her children. 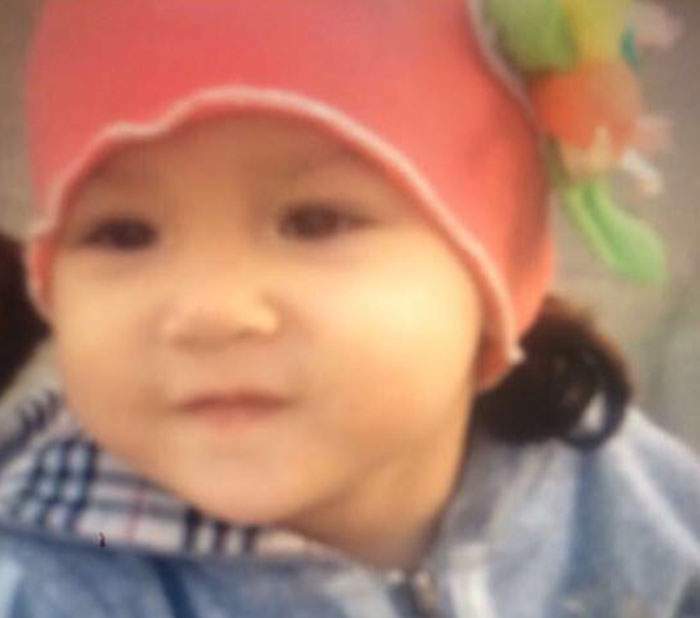 Her youngest daughter, Sekine Hasan, who by now would be three and a half years old, stayed in Xinjiang with Bilkiz's husband. 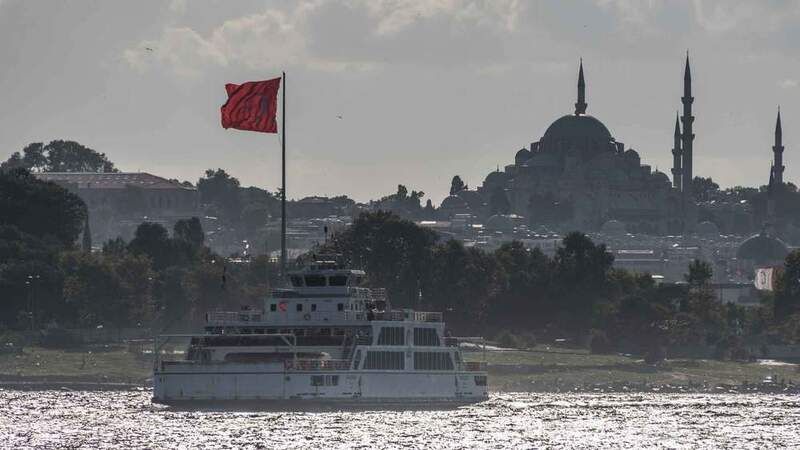 She did not yet have a passport and the plan was that, when she got one, the family would reunite in Istanbul. She never got that passport. Bilkiz believes her husband was detained on 20 March last year. She has since lost contact with the rest of her family and now has no idea where her daughter is. “In the middle of the night, after my other children have gone to bed, I cry a lot,” she says. “There is nothing more miserable than not knowing where your daughter is, if she is alive or dead. 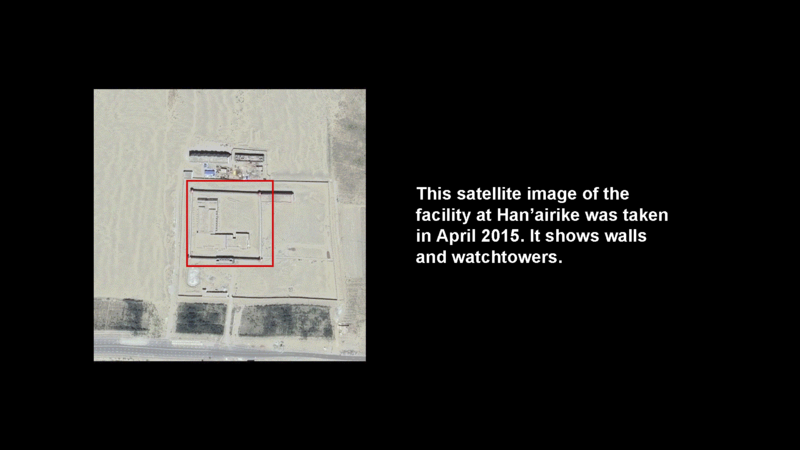 Using only publicly available, open-source satellite data, it's possible to shed light on Xinjiang's dark secret. GMV is a multinational aerospace company with experience of monitoring infrastructure from space on behalf of organisations like the European Space Agency and the European Commission. 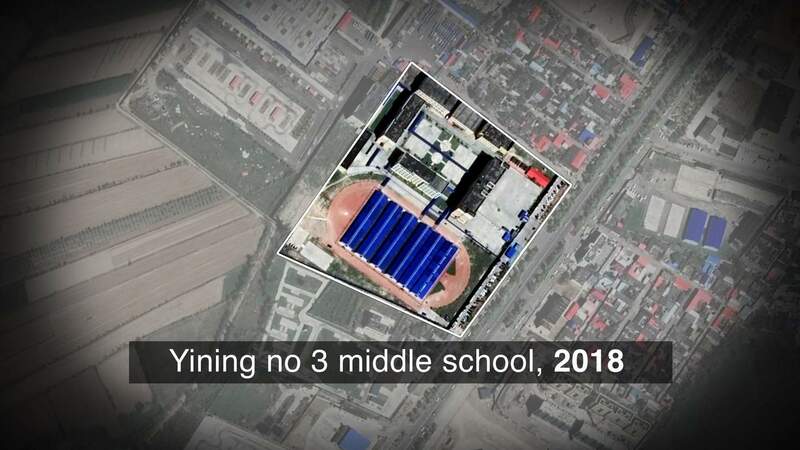 Their analysts went through a list of 101 facilities located across Xinjiang - drawn up from the various media reports and academic research about the re-education camp system. One by one, they measured the growth of new sites and the expansion of existing ones. They identified and compared common features such as watchtowers and security fencing - the kind of things needed to monitor and control the movement of people. And they categorised the likelihood of each site actually being a security facility, placing 44 of them in the high or very high category. Then they plotted the first detection by satellite of each of those 44 facilities over time. Images show the extent of the building work that has taken place at part of the camp where Abdusalem Muhemet was held. GMV cannot say what the sites are being used for. But it is clear that over the past few years China has been building a lot of new security facilities, at remarkable and increasing speed. It is likely to be an underestimate of the true picture. There is a striking conclusion - the recent trend is towards larger facilities. The number of new construction projects this year has fallen when compared with 2017. However, in terms of overall surface area of the facilities being built, there is more this year than last. 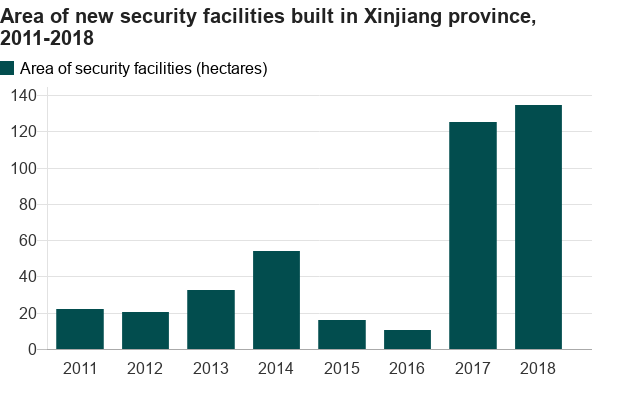 GMV calculates that, from this set of 44 sites alone, the surface area of secure facilities in Xinjiang has expanded by some 440 hectares since 2003. 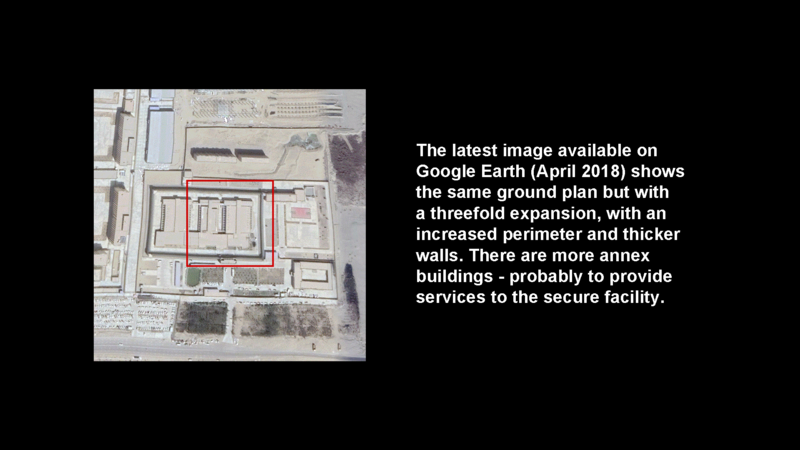 This measurement refers to the whole site within the external security walls, not just the buildings. But 440 hectares represents a lot of additional space. 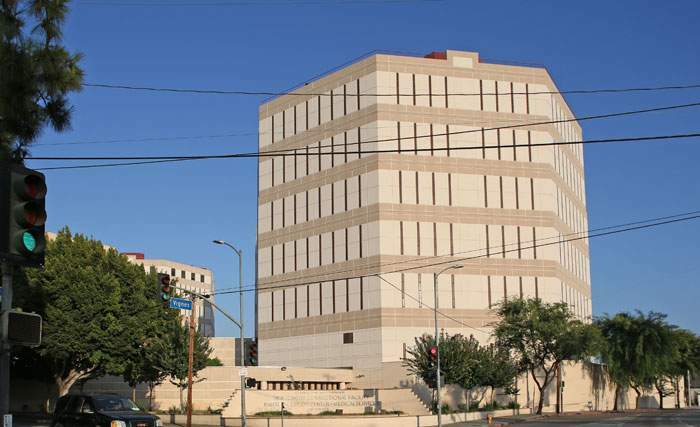 For context, a 14-hectare site within the city of Los Angeles – containing the Twin Towers Correctional Facility and the Men's Central Jail - holds a combined total of almost 7,000 prisoners. 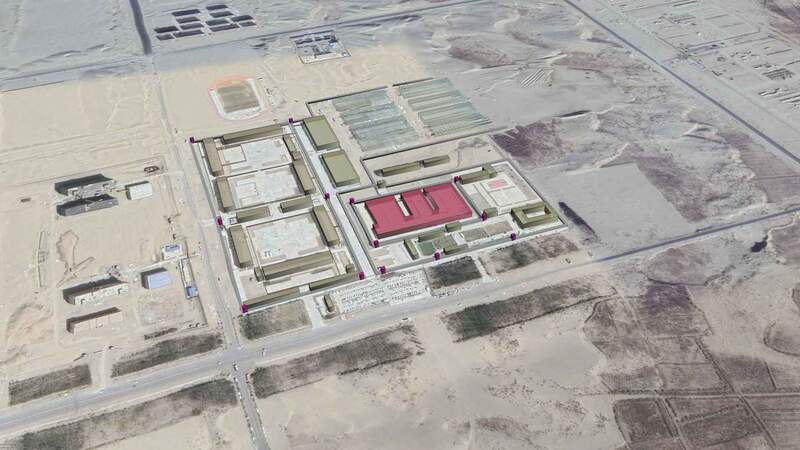 We took one of GMV's findings - the increase in building size at the facility in Dabancheng - and showed it to a team with long experience in prison design at the Australian-based Guymer Bailey Architects. 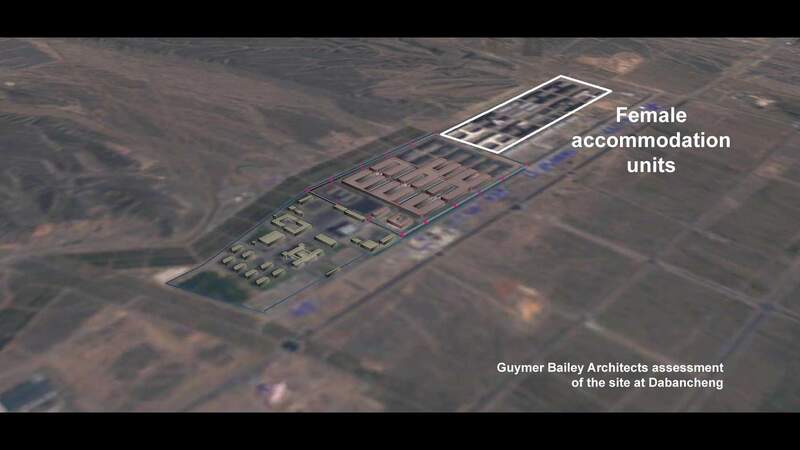 Using the measurements from the satellite images they calculated that, at an absolute minimum, the facility could provide space for about 11,000 detainees. Even that minimum estimate would place it alongside some of the biggest prisons in the world. Riker's Island in New York, the largest in the US, has space for 10,000 prisoners. 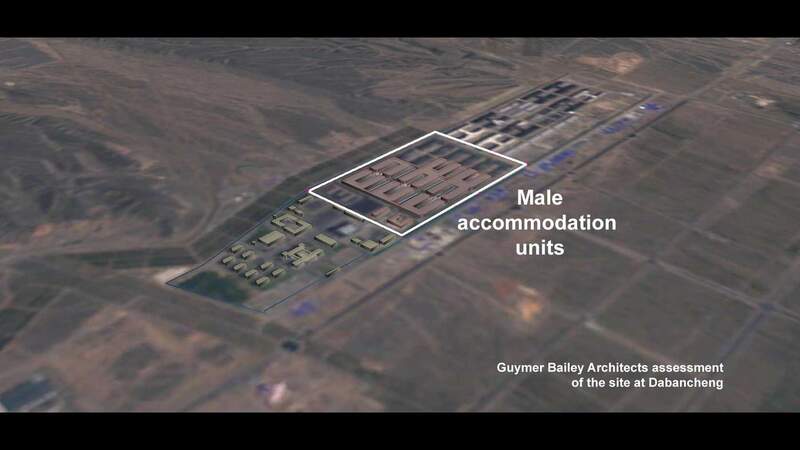 Silivri Prison outside Istanbul, often referred to as Europe's largest, is designed to house 11,000. Guymer Bailey Architects (GBA) provided us with this analysis of the possible functions of the various buildings on the site. 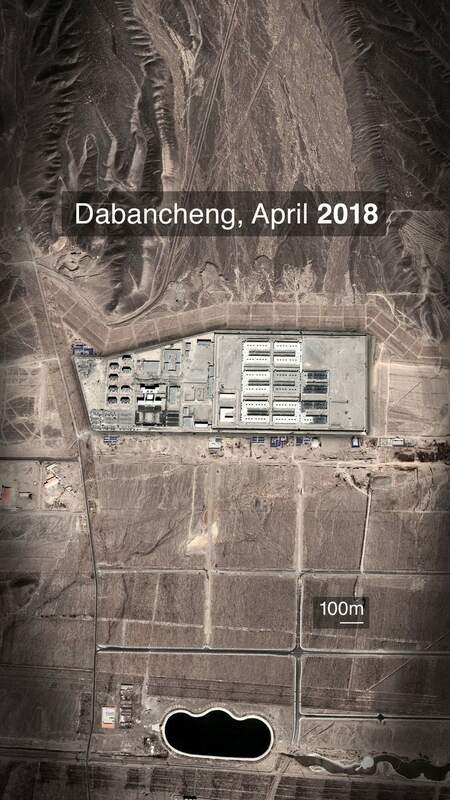 Their minimum estimate for occupancy at Dabancheng assumes that the detainees are held only in single rooms. 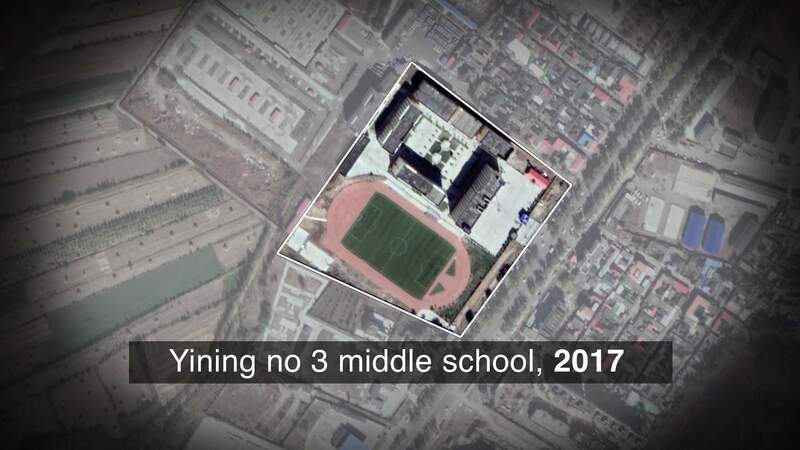 If dormitories were used instead then the total capacity at Dabancheng would increase dramatically, GBA suggests, with an outer limit of about 130,000. We also showed the images to Raphael Sperry, an architect and the president of the US-based organisation, Architects/Designers/Planners for Social Responsibility. “This is a truly massive and bleak detention facility,” he told me. “It appears as a place designed to pack as many people into as small an area as possible at the lowest construction cost. The lack of access to the site means there's no way of independently verifying this analysis. 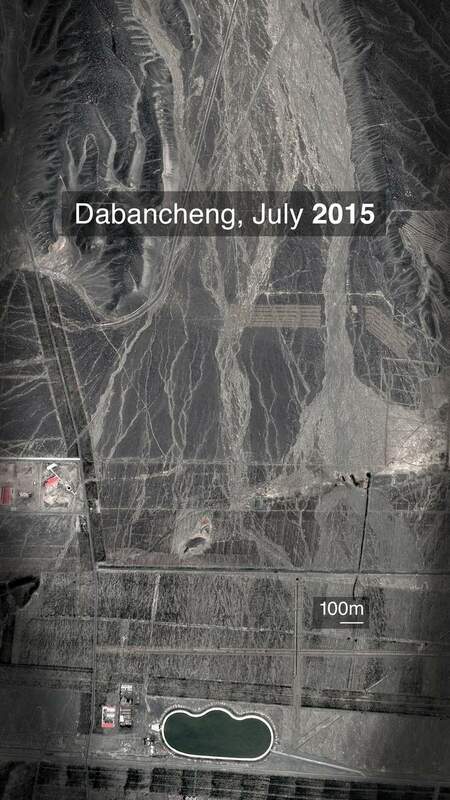 We asked the authorities in Xinjiang to confirm what the site at Dabancheng is used for but have received no response. 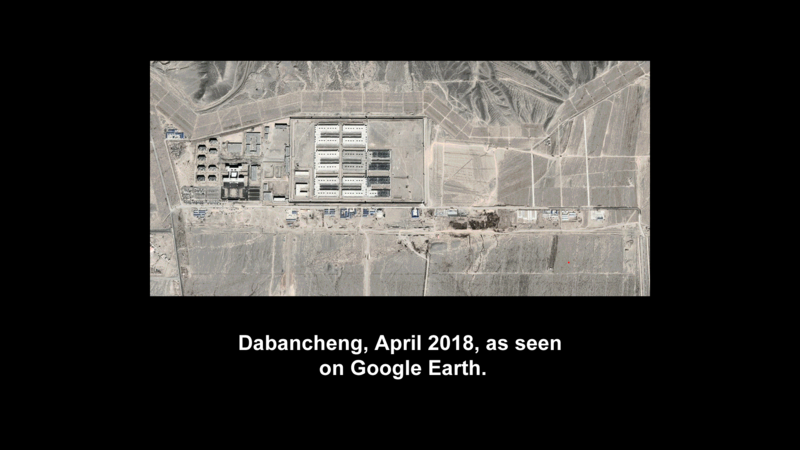 Not all of Xinjiang's internment camps are the same. 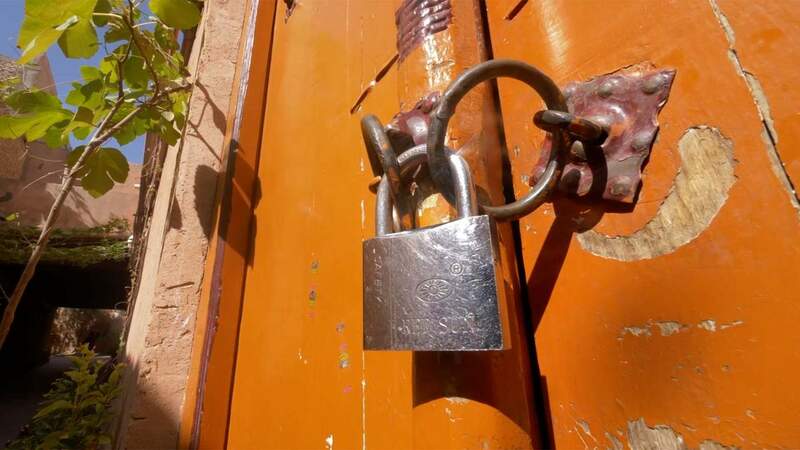 Some of the secure facilities have not been built from scratch, but are conversions of structures previously used for other purposes, like schools or factories. These are often smaller and located closer to the centre of towns or cities. In the northern county of Yining we tried to visit a number of such camps. We'd seen local government procurement documents for a project to create five “vocational skills education training centres” for the purposes of “safeguarding stability”. In the centre of town we stop outside a large group of buildings that used to be Yining Number 3 Middle School. A high, solid blue steel fence now surrounds the site and there's heavy security on the front gate. There's a new watchtower by the playground and another one by what used to be the football pitch. The pitch is now completely covered by six long steel-roofed buildings. Outside, visiting family members are queueing up at the security check. 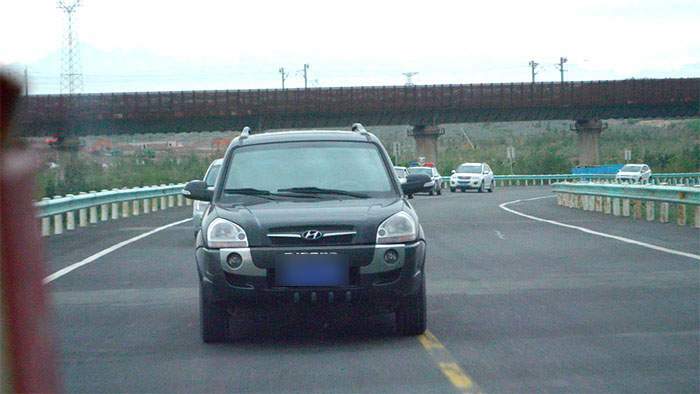 Once again, wherever we go in the town, two or three cars follow us. When we try to get out to film at one of the camps, this one surrounded by a grey fence, we're stopped. The officials, with hands over our camera lenses, tell us that there's important military training taking place in the area today and we're instructed to leave. Outside the former school we see a family, a mother and two children, standing quietly by the fence. One of the minders tries to stop them from talking but another appears to over-rule him. “Let them speak,” she says. I ask them whom they're visiting. There's a pause, before the young boy answers, “My dad”. The hands cover our lenses once again. 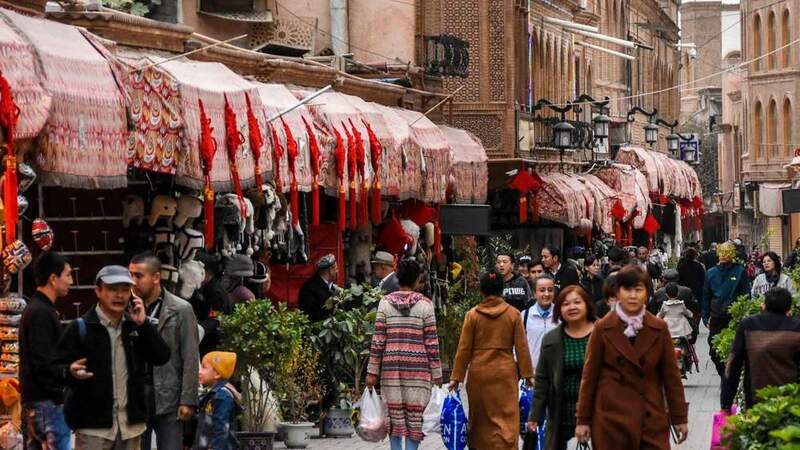 In the city of Kashgar, the once bustling, beating heart of Uighur culture, the narrow streets are eerily quiet. Many of the doors are padlocked shut. On one, we see a notice instructing people how to respond to questions about where their family members have gone. “Say they're being looked after for the good of society and their families,” it says. The city's main mosque is more like a museum. We try to find out when the next prayer time is but no-one seems to be able to tell us. In the square, a few beardless old men sit chatting. We ask them where everyone else is. One of them gestures to his mouth, holding his lips together to signal that it's too risky for him to talk to journalists. 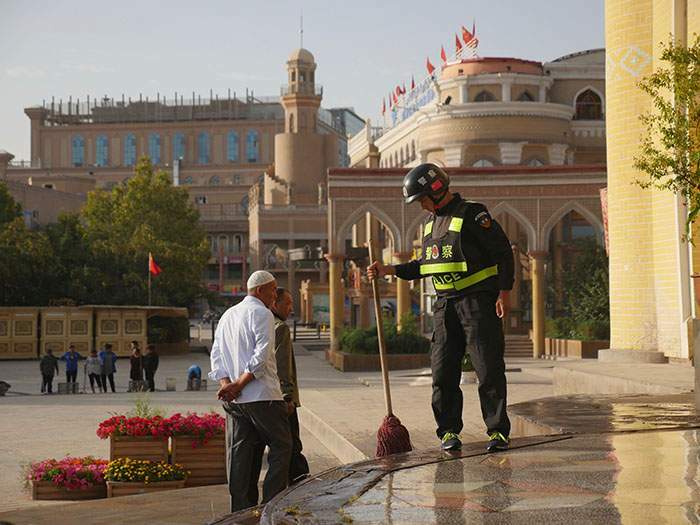 A helmeted policeman, some distance away, is cleaning the mosque steps. In the silence we can hear the sound of the slop of the water in the bucket and the swish of the mop, echoing across the square. Chinese tourists are taking photos. 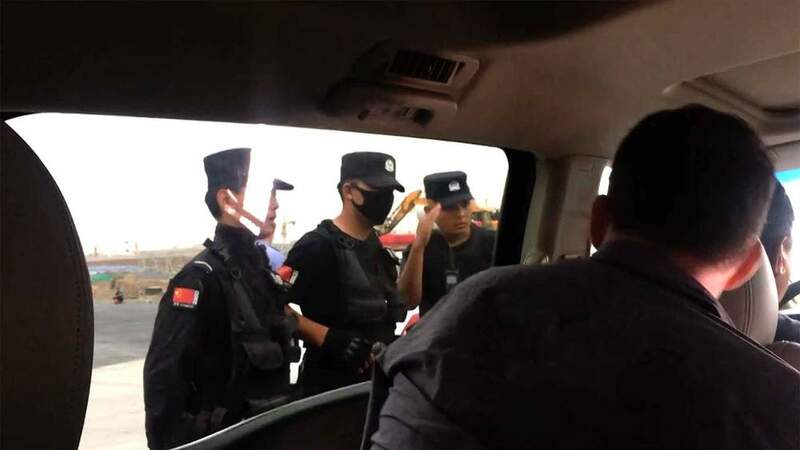 We leave Kashgar on the highway, heading southwest towards an area dotted with Uighur villages and farms, and a great many suspected camps. We're being followed as usual but soon we run into an unexpected obstacle. Ahead of us, the highway appears to have just been closed. The police officers manning the roadblock tell us that surface of the road has melted in the hot sun. “It's not safe to proceed,” they say. We notice that the other cars are being directed into a car park in a shopping mall, and over the radio, we hear instructions to hold them there “for a while”. We're told the wait could be four or five hours and we're advised to turn around. We look for alternative routes, but another roadblock always seems to materialise, although the explanations change. One road is closed for “military training”. Four times, on four separate roads, we're turned around before we finally have to admit defeat. Just a few kilometres away lies another giant camp said to hold around 10,000 people. 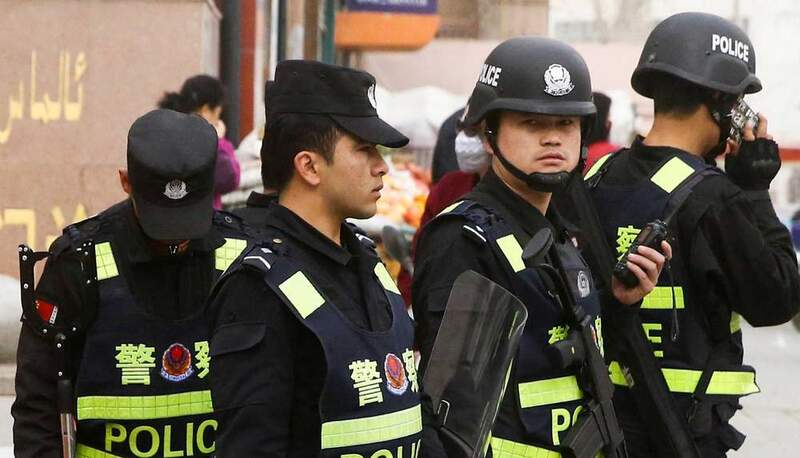 There are Uighurs in positions of authority in Xinjiang. 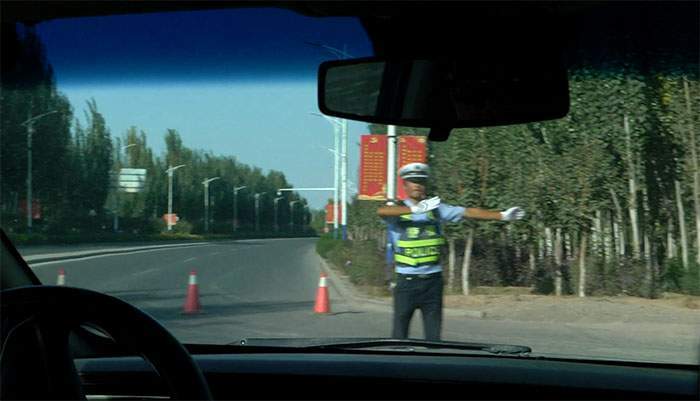 Many of the government officials and police officers who tailed and stopped us were Uighurs. If they feel in any way conflicted they cannot say it of course. But while the system of profiling and control has been likened by some to Apartheid, clearly that is not entirely accurate. Many Uighurs do have a stake in the system. In reality a better parallel can be found in China's own totalitarian past. As in the Cultural Revolution, a society is being told that it needs to be taken apart in order to be saved. Shohrat Zakir, a Uighur and, in theory, the second most powerful politician in the region, suggests the battle has almost been won. “In the past 21 months, no violent terrorist attacks have occurred and the number of criminal cases, including those endangering public security, has dropped significantly,” he is reported to have told state media. But when the detainees are released, what then? The former camp inmates we spoke to were all burning with resentment. 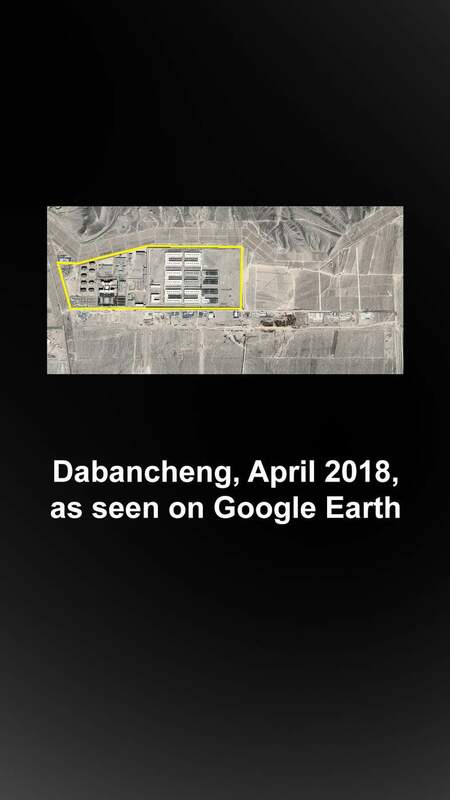 And the world has yet to hear from anyone who has spent time in facilities like Dabancheng, the sinister and secretive facility of such immense proportions. Our reporting adds to the evidence that the mass re-education programme is internment by any other name - the locking up of many thousands of Muslims without trial or charge, in fact with no access to any legal process at all. China is already proclaiming it to be a success. But history holds many troubling precedents about where such a project might end up.